Thinking about getting started with roll forming or upgrading your business equipment? Get started by learning about Ridge Cap or why the MRS Ridge Cap Press would be a perfect fit for your business. Metal Rollforming Systems manufactures 100% in-house to ensure that the highest quality standards are met consistently. Our unique designs provide years of worry free service and you receive support from the team who set up your roll forming equipment. 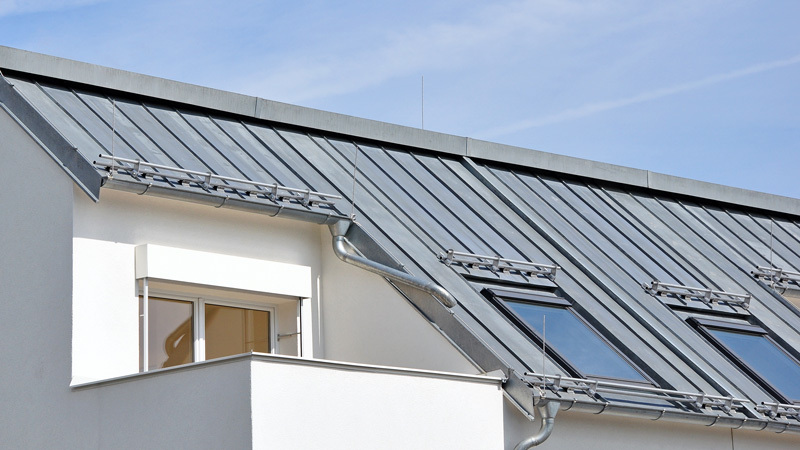 As some of you may know, Ridge Cap is a piece of trim that can be formed out of metal and its purpose is to cover the ridge of a structure. This helps seal and protect the joint between the two sides of a pitched roof. These pieces of trim play an important role for keeping weather and debris from entering your building or structure. 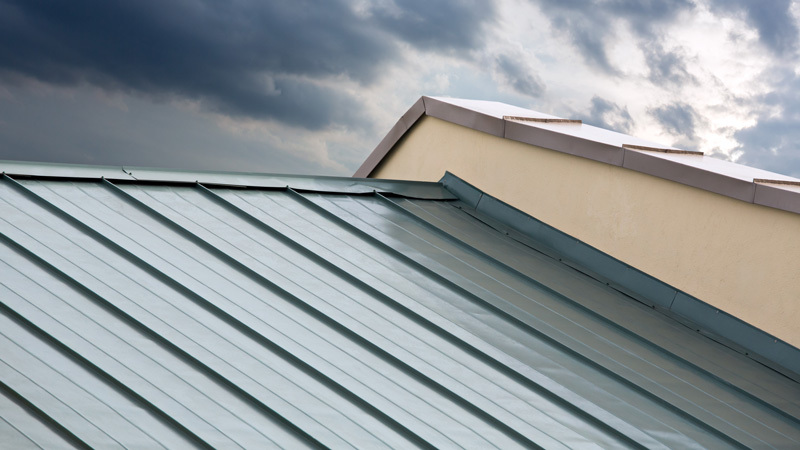 You can commonly find ridge cap installed on pole buildings, steel buildings or structures with steel roofing panels. Why Choose the MRS Ridge Cap Press? 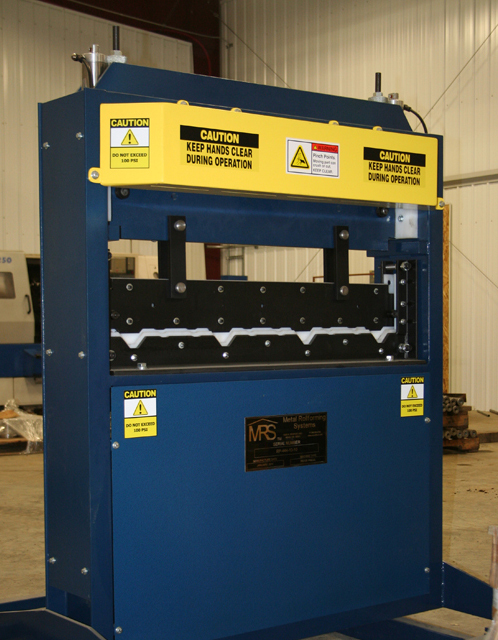 Metal Rollforming Systems manufactures a high quality ridge cap press that ensures a great look with a consistent fit. Featuring state of the art components, the MRS Ridge Cap Press is designed with the operator in mind. Enjoy the ease of integrated pneumatic operated foot pedals leave both hands free for the operator to position and maneuver material. High density nylon is used for the jaws to provide scratch free operation. This ridge cap press has the ability to accommodate 26 gauge and 24 gauge materials and has adjustable depth gauges for different roof pitches. With a small machine footprint, the MRS Ridge Cap Press is ideal for any size roll forming operation. Contact us today to start working with the industry’s best roll forming equipment and service!